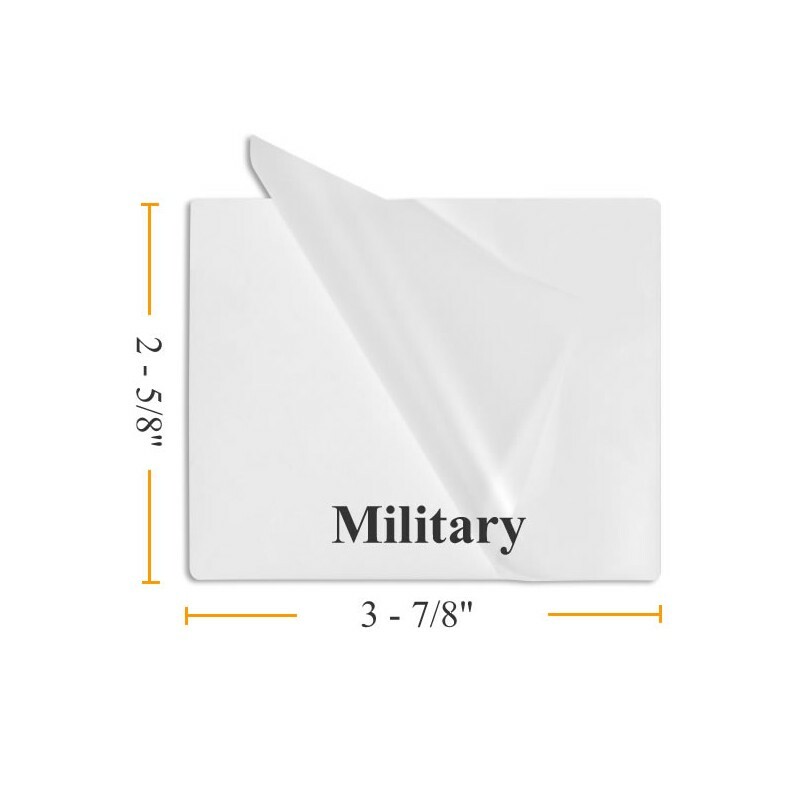 Use these military size laminating pouches for laminating your card size documents or create a hanging id laminating pouch by adding a slot! 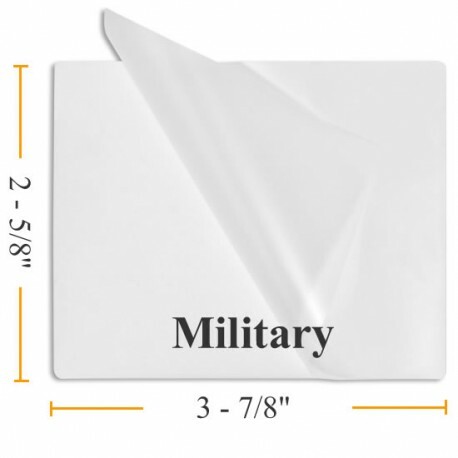 Pouch Measures 2 5/8" x 3 7/8"
Military or government size laminating sleeves are used to protect government id as well as a variety of types of membership identification from wear and tear damage. Laminating Pouches are intended to be used in thermal pouch laminating machine. A laminating pouch is sealed on one edge for your convenience. The document or item is placed inside the laminating pouch and placed in the hot pouch laminating machine to seal. Pre-trimmed - no cutting, no waste. Made from high quality laminating film. Buy more and save more. We offer additional discounts from our already low prices for bulk military pouch laminating orders. Our pouches are top quality and are comparable to GBC, IBICO, 3M and other brands available at large office retail stores like Staples and Office Depot. Laminting pockets can be used in all thermal laminating machines. Check your laminator owner's manual first to be sure you are ordering pouches that fit your machine. Looking For A Better Price on Laminating Supplies? Take a look at our Case Prices! ALSO, we offer a Price Quote for large volume one time orders and a Preferred Customer Program for those who order frequently. Let us beat your current vendor's pricing! Our excellent customer service and prompt shipping will make you happy you switched to BuyLamination.com!